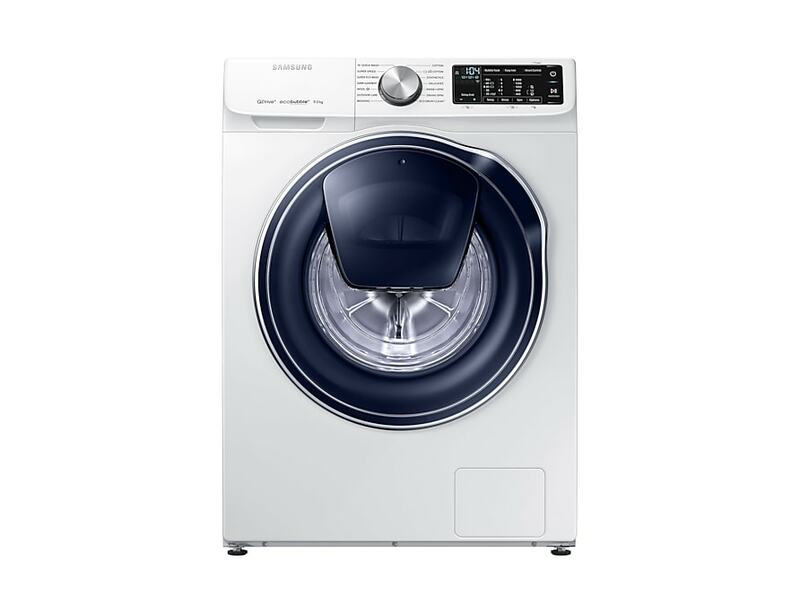 Innovative QuickDrive™ technology reduces the washing time by up to 50%* with amazing cleaning performance. Samsung’s unique fabric care drum is equipped with a pulsator that creates a fast water flow that covers the entire drum. As a result, the detergent penetrates deep into the fabric, to give your clothes a thorough wash in less time*. To ensure you always get the best possible wash, the Eco Drum Clean+ cycle cleans the inside of the drum and the rubber seal. For complete ease of use it even reminds you when it needs cleaning (every 40 cycles). Our efficient ecobubble™ technology mixes air, water and detergent to create bubbles that penetrate your clothes faster, helping you wash at cooler temperatures. Better for the environment and your bills.